Fortnite pro player and streamer Turner “Tfue” Tenney nearly pulled off an impressive play yesterday while streaming. Tfue was in the late game of an Arena Solo match with 27 people alive. Several players were below him using The Baller, and he decided to drop down and get into one. Shortly before, he picked up two Boogie Bombs off the floor. He then moved toward the center of the storm circle to find four players who were perfectly aligned inside their Ballers. Tfue hopped off his own and threw one Boogie Bomb right in the middle of them, hitting all four players and forcing them out of their vehicles. The clip could’ve ended with Tfue getting at least two kills, but he missed his shots and got none. Still, hitting four players with a Boogie Bomb is hard to pull off since landing it greatly depends on timing. Tfue went for this play because Boogie Bombs are the only way of effectively countering The Baller, apart from destroying the vehicle. Players who are inside the vehicle are shielded by its health pool of 300 points, and trying to spray down and destroy one of them will likely make you vulnerable to another player. Boogie Bombs are faster, safer, and easier to force your opponents out of The Baller, and as a bonus, they become unable to do anything for five seconds. Tfue’s play is noteworthy because the Fortnite World Cup Open Qualifiers start this weekend, and Epic Games pushed back a nerf to The Baller that would’ve come in yesterday’s v8.30 update—the change would have allowed players to shoot the driver through the vehicle’s glass. 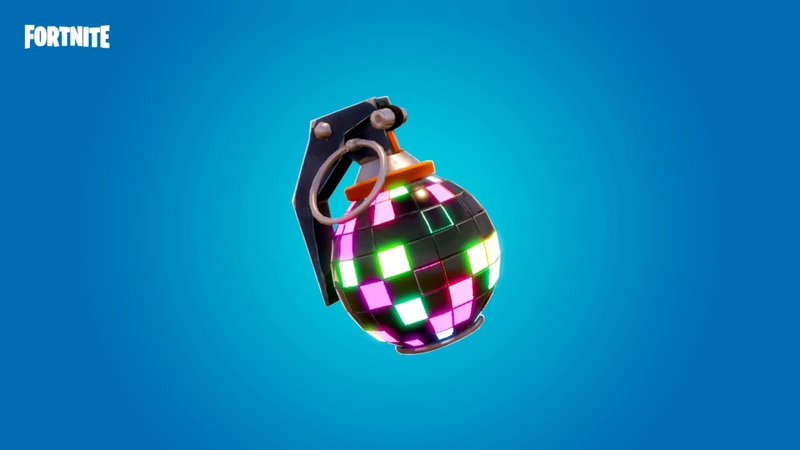 Boogie Bombs will remain the most effective way of countering these hamster balls unless you just want to run from them. Tfue’s play shows he’s aware of game scenarios and is willing to be aggressive even against players inside The Baller. We have yet to see if he’ll hit his shots during this weekend’s qualifiers to boost his points and claim a spot at the Fortnite World Cup.